Is your 3D-printed project food safe? Access to a 3D printer can bring new inspiration to a once dull kitchen or food container, but are the new bowls you made really food safe? To answer this question we need to look at a couple of different variables. By answering these questions we can ensure that your awesome 3D-printed bowl or spaceship cookie cutter is safe to use. First, what type of printing material are you using? Second, is your 3D printer extruder even clean or food safe? After selecting an appropriate and food safe filament material, we need to take a look at where it travels. 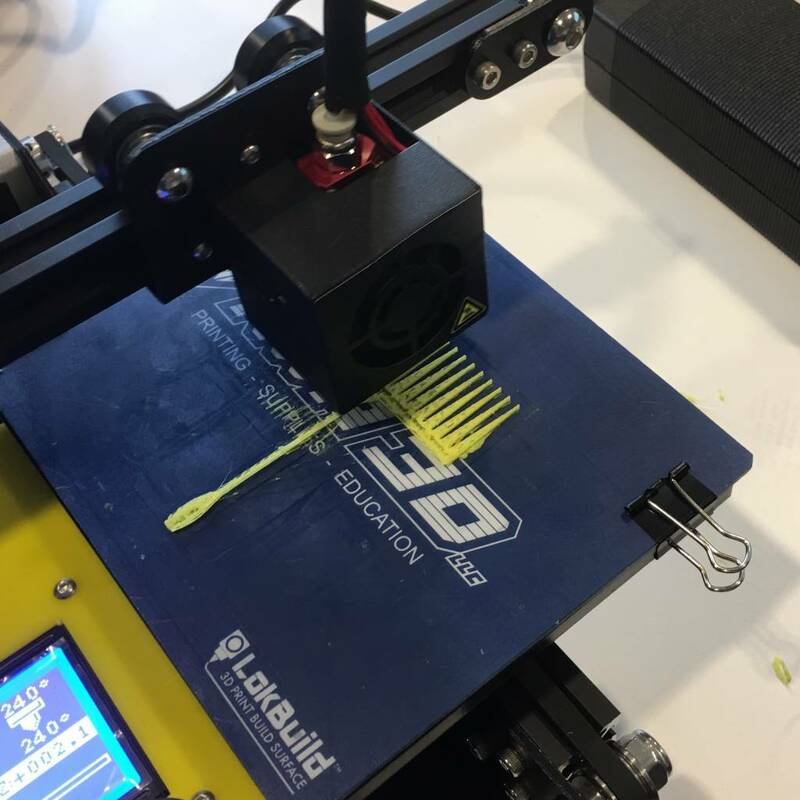 As filament is pushed into a 3D printer, it can come in contact with many different materials and surfaces. The PTFE tube, feeder gear, throat tube, nozzle, and everything else the filament touches needs to be clean. To ensure you are producing food safe products, using an all-metal stainless steel hot end is a must. This is available from your 3D printer supplier. Stainless steel is commonly used for household utensils and removes the possible lead contamination from brass nozzles. Third, is it coated in a sealant to remove layer gaps and reduce bacteria buildup? If you still would like to create intricate and inspiring food safe models, there are other options you can try. The first is to use a layer of food safe plastic wrap or wax paper between the food and the model. The second is to eliminate the layer spacing. It can be filled using a sealant or epoxy. Ensure the sealant of choice is food safe, and give your model a good rough sanding before you apply a few coats. So, can you eat with it? It shouldn’t be a problem if you put a food safe barrier between the 3D-printed part and your food—such as plastic wrap. If you’re printing with a food safe material, coming in contact with food one time will probably be ok. However, be mindful of bacteria and other harmful chemicals that could come in contact with your food. Apart from modifying your 3D printer and post-processing, creating a continuously food safe 3D-printed part is not as easy as expected. This process can still serve as a rewarding and excellent project to learn more about 3D printers, materials specifications, ensuring food safety, and design, but always conduct your own research and make sure that your models are food safe.